The D.N.P. program is offered through two tracks, M.S.N. to D.N.P. and B.S.N. to D.N.P., both of which are offered online with three in-person intensive sessions. All the intensives are at the University Park (main campus) or Hershey campus, each session is conducted over a three to four-day span. Your first intensive session will take place at the beginning of your doctoral studies, where you will meet face-to-face with your academic adviser who will work with you closely throughout the entire program. The Post-MSN to DNP is a practice doctoral degree for advanced practice nurses and nurses who plan to function in a leadership position. If you have already earned your master’s degree with a major in nursing and plan to continue in a practice role, then the MSN to DNP can fit your career goals. 1,000 hours of practicum time are required; up to 550 may carry forward from the student’s MSN experience. The BSN to DNP is for those individuals who plan to be nurse administrators. If you have earned your bachelor’s degree with a major in nursing and you plan to continue in a practice role as a nurse administrator, the BSN to DNP entry option was designed for you. 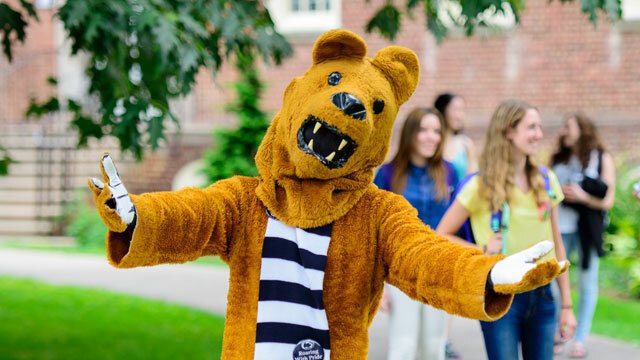 Program details, including information on courses, can be found on the Penn State World Campus website.